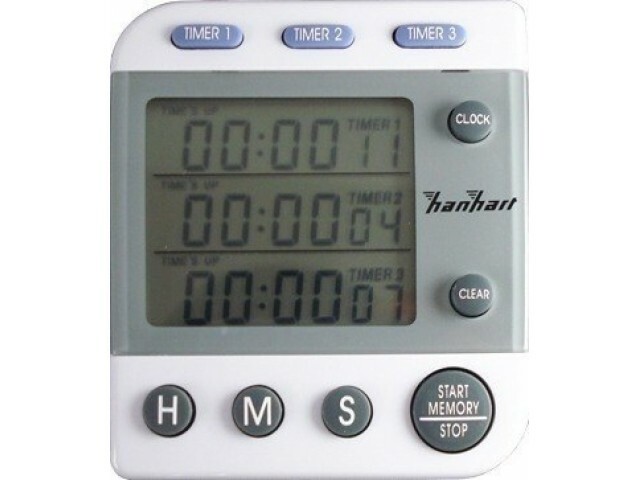 Has a triple display for three count down resp. count up time or the display of normal time. Has a clip for hanging, standing as well as a magnet.